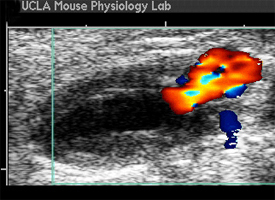 The UCLA Mouse Physiology Laboratory Core Facility is dedicated to the phenotypic assessment of mouse and rat models of disease using a wide variety of integrative approaches including echocardiography, hemodynamics, surgical procedures, telemetric recording, autonomic nervous system, metabolic and exercise testing. 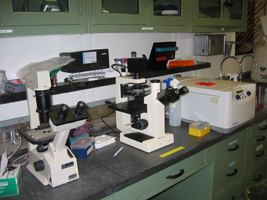 For more detailed information about the Mouse Physiology Core Lab, click here to see our Website or contact Ken Roos. The Eukaryotic Protein Expression Core (EPEC) is a dedicated facility for the expression and purification of eukaryotic proteins. The equipment includes fermentors, high-capacity shaking incubators, high-pressure homogenizer and a suite of centrifuges. For further information contact Yousang Gwack or Jeff Abramson. 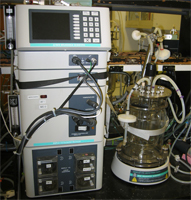 The Physiology Department Cell Culture Core was set up in 2007. For further information contact Yousang Gwack, Baljit S. Khakh or Bernard Ribalet. 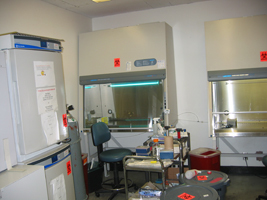 In addition to various core facilities, The Physiology Department houses two Instrumentation Rooms providing a centralized cluster of equipment for basic wet-lab research. 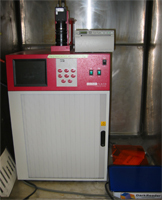 The department maintains a suite of centrifuges, fluorescence plate reader, nano-drop, film developer and sonicator. For further information contact Yousang Gwack. 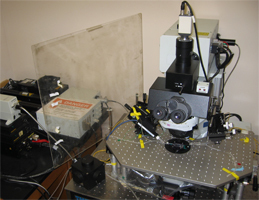 The Physiology Department Patch-clamp Confocal Rig was set up in 2007 with the support of the Department of Physiology, the Dean's office and the Khakh lab. For further information contact Baljit S. Khakh.